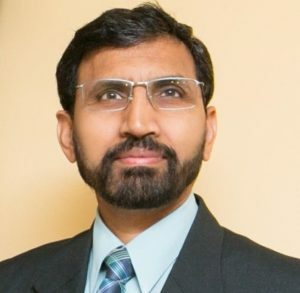 Dr. Atif Nazir is Health Officer /Health Director of Plainfield Health Department where he assure the delivery of comprehensive public health services to diverse community of City of Plainfield. He has worked in the field of public health over the past 15 years at various public health departments of State of New Jersey. As Chief Executive Officer of Health Department he plan, manage and oversee various public health program for the City including communicable disease surveillance & investigation, public health nursing, health education, environmental health, rabies control, maternal child health, WIC, Vital Statistics, Childhood lead prevention , health promotion, disease prevention, public health emergency preparedness, public health planning and administration. He worked as Assistant Director in Global Disease Management & clinical Outcome, NJ for Disease management by introducing therapeutic cost saving alternative drugs to help keep the drug benefit affordable and sustainable. He was involved in Research, development, design, marketing and management of prescription drug programs (1996-2002). He has five years programs management experience of animal disease control & prevention, animal vaccination and improvement of milk & meat production in Livestock & Dairy Development Department Punjab, Pakistan 1991-1995. He is author of research paper of “Imported Case of Lassa Fever-New Jersey, May 2015” with other healthcare, NJDOH and CDC partners. He has been actively involved in epidemiological surveillance and investigation of West Nile Virus, S.A.R.S, H1N1, Ebola, Lasa fever and Zika virus. He researched for master thesis, author & co-author of several research papers published in national journals on Epidemiology, Pathology, Hematology, Serology, Toxicology and Drugs efficacy in animals. Dr. Atif Nazir earned his Doctor of Veterinary Medicine degree (1991) and M.S. (Hons) C.M.S. (1993) at University of Veterinary and Animal Sciences Lahore Pakistan. Effective Risk Communication Certificate, School of Public Health, Howard University (2014). Homeland Security Exercise and Evaluation Program (HSEEP) Certificate, U.S. Department of Homeland Security (2011), Bioterrorism and Emergency Preparedness Training Certificate, N.J.D.O.H (2004), FEMA Professional Development Series Certificate (PDS) Emergency Management Institute (2006) FEMA Advanced Professional Series (APS).